No other device like this on the market! 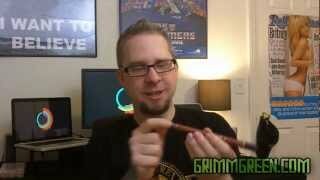 If you need power and want an easy to use e-cig, this one will amaze you! Highly praised and recommended by smokers who want both satisfaction and simplicity. There is no other device like this on the market and it will deliver a massive vapor and a great throat hit without all the complicated gadgetry. The mouthpiece is a soft rubber instead of metal like other tanks (more realistic) and the taste just seems to come through a little richer. But more importantly, the Zeus fulfills your cravings with a whopping 5 Volts of power. You won't be disappointed, but if you are, they have a 30 Day Money Back Guarantee. The Vapor Zeus by Vapor4life is their flagship vape pen. Despite its age, the Zeus is STILL among on the elite in this category. The reason for this is its incredible simplicity and an awesome throat hit that smokers are looking for when they first try or are rather new to vaping. 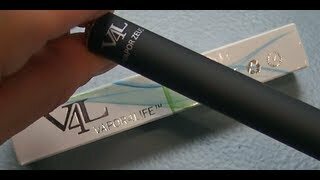 Vapor4Life has designed their own exclusive vaporizer with the smokers mentality behind it. Focusing on the important aspects as a heavy a throat hit and a satisfying filling of the lungs that incredibly resemble a traditional cigarette more than any other device we have tried. When first trying out ecigs many smokers are heavily let down in the overall taste and feel aspects of it – or the lack of throat hit and filling up your lungs – so, therefore, they give up. The Zeus is a must try for those who haven't yet found a “winner” or who want to vape but need something more realistic. Unlike most vape vendors, Vapor4Life was created for smokers BY a smoker – this is important since a heavy smoker knows exactly what they want out of a device and how the juice should taste! This “smoker” that had a heavy hand in every building aspect of this device ( and their ejuices) is the founder Steve Milin – a former 3-pack a day smoker. Once I tried my first Zeus, my confidence in making ecigs replace my traditional smokes was high. Its ease-of-use stands out as you simply have to take a pull on it to start vaping – no buttons to push, and with the soft rubber tip it has a far more natural feel to it than other vape pens in this category that use stainless steel or cheap plastic tips. But if it didn't “hit” like a traditional smoke, none of that matters but thankfully when dealing with throat hit, this device does that better than any other device in its respective category. The smileomizer fill-up is easy to fill, thanks to it abnormally large gap from the edges to the center tip – making missing your mark almost impossible. I started out with the Manual VV Zeus – this model allows you adjust the power to your liking manually – and the Auto VV Zeus does this automatically and is recommended for first-time users. With automatic mode on you can puff on it while your teeth hold the soft rubber tip – ultimately making this a hands-free device since just taking a pull will activate the device. Once connected I simply turned the dial to the voltage I wanted, and I was ready to vape. The red dash on the dial makes it's easy to dial in with solid accuracy. The lower voltage was ok but when I cranked it to 4.2 (the range is from 3.2 to 4.8), the output was almost perfect. And with the tip being made of rubber, you can bite down on this one making it practically a hands-free vaping device – a hard to find feature for sure. About as hassle-free as it gets and the smileomizer holds a ton of ejuice, it felt like I went two days between refills. Solid cloud output and the tobacco flavor is among some of the best we've tried. Vapor4Life offers a large variety of e-juice flavors, primarily their focus is on the tobacco flavors and has over 25 different variations to choose from. V4L is also one of the few vendors that offer a 36mg nicotine strength that is just off the charts in my book as I usually go with something around 10 mg at most. Nevertheless, if you are a heavy smoker or you know someone who craves nicotine more than most, these guys have you covered. The “outlaw” has the resemblance of an unfiltered cig and is one of the strongest tobacco flavored juices I've ever tasted. Their “WOW” ejuice lineup is among some of the best ejuice out there and has made our favorites list as well. When I first read about the Zeus, I felt it might be a little gimmicky. But after using it, and using it what ended up being about three weeks I can truly say this is an awesome device. The battery was long-lasting, and the automatic switch and the voltage dial makes this device ridiculously easy to use – I know that gets said a lot, but this one is hard to beat in that aspect. The downside is this one is not the cheapest of the bunch but if are looking to have just one solid device in your arsenal, the price can be overlooked. And lastly, that smileomizer is easy to fill due to its positioning of the center pin – small feature but easy to fall in love with. This is one of my favorite devices to this day and is my top recommendation for newbies, thanks to its close resemblance to the real thing.